Sunny skies welcomed the Chinese New Year of the Dog in Liverpool city centre this morning, as the annual and highly colourful parade attracted the crowds once again. 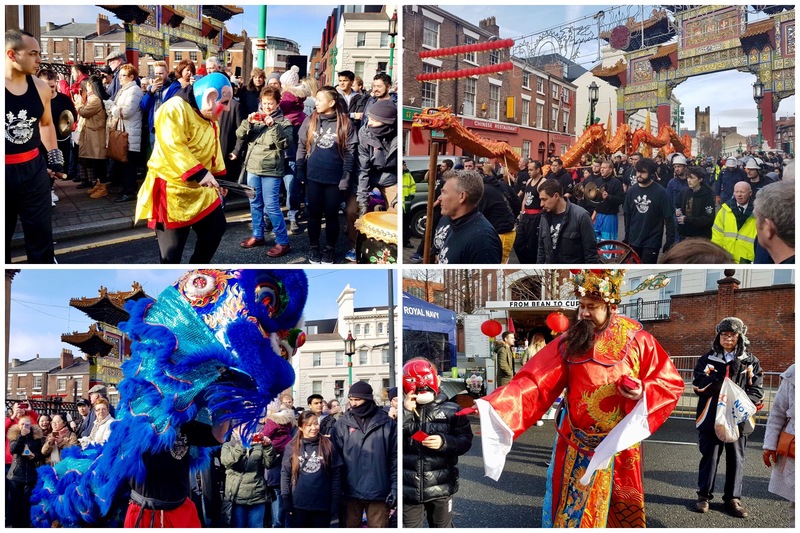 On what was a fairly cold day, Chinatown opened its streets and doors to spectators as they joined in the sprawling family fun event. 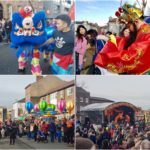 This year’s celebration aimed to be the biggest ever, after 2017 attracted over 20,000 people to the ceremony, with the town centre marking the occasion with three-days of festivities and related exhibitions. Since Friday, the Chinese Arch, the Black-E and The Arch were illuminated for an hour each night, telling the story of Jingwei and the Ocean. 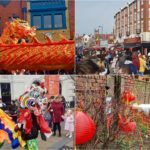 Having one of the largest and oldest Chinese communities in Europe, Liverpool’s diversity shone through as people of all origins packed in to see the phenomenon, which involved the traditional Lion and Unicorn parade through the streets. 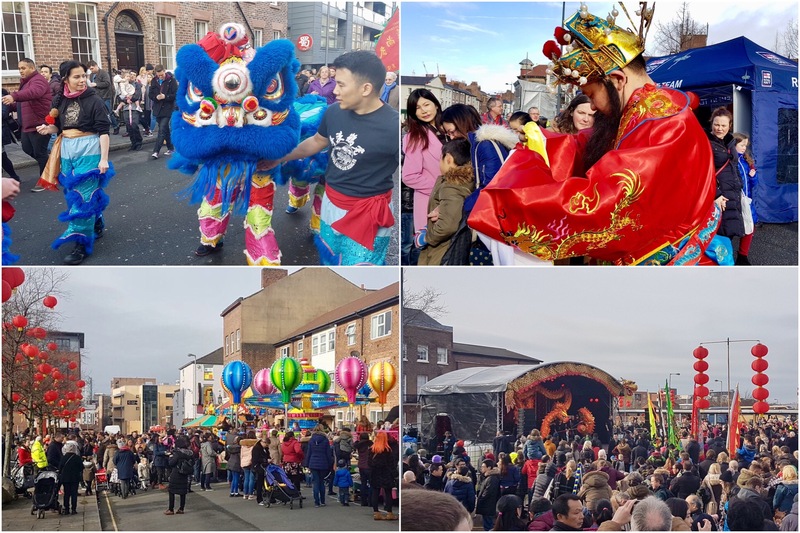 Assistant Mayor, Councillor Wendy Simon, said it was great to see the celebration getting larger each year, telling JMU Journalism: “Chinese New Year is so important to Liverpool. 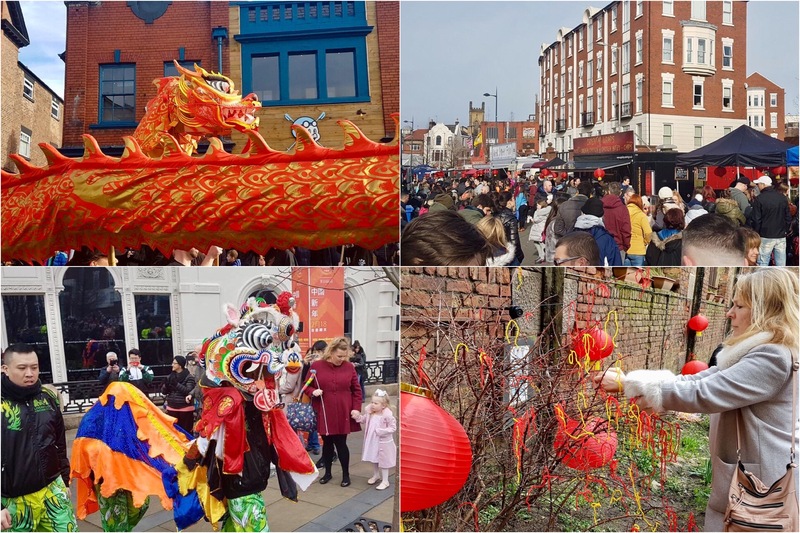 It’s fantastic and [so is] China Dream, which is the beginning of our programme, where we celebrate how far we have come as a city since 2008. 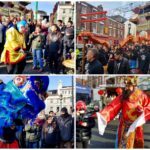 “I think to see so many people here, every year, this Chinese New Year gets bigger and better,” she said. Shortly after midday on Sunday the crowds gathered, as the separate Lion and Unicorn parades met at Great George Square with a classic firecracker display. The empathic crackles were met with laughter, and joy but left many people covering their ears as the loud burst roared and echoed. Michael Jones, 39, from Liverpool, was in attendance with his two children. He told JMU Journalism: “The event is great for the kids. There is so much to do throughout the day. I bring my two boys every year and I decided to come down right from the start so we could see the parades. 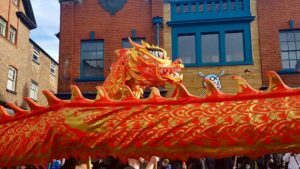 The Year of the Dog, signals a fortunate 12 months ahead for most of those born in the ‘dog’ years of 1935, 1947, 1959, Jan 1971, 1982, 1994 and 2006. 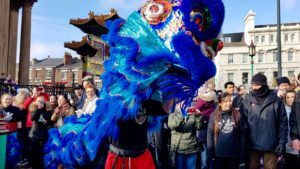 Liverpool’s celebration of Chinese culture continues with the famous Terracotta Warriors exhibition at the World Museum, and a contemporary art display at St George’s Hall as part of Culture Liverpool’s China Dream programme.